Board members Alan Matson, David Kirk and Kyle Dodson at a recent board meeting. The Burlington School Board recently found itself scrambling for a temporary superintendent for the second time this year. Its three-member "interim leadership team" resigned en masse, accusing board members of publicly disrespecting them and micromanaging their work. That decision, made public on October 24, left the board 16 days to find someone willing to take their place. The backdrop to all this: For months, the district has been under significant financial stress, aggravated by a series of deficits and budgeting errors. 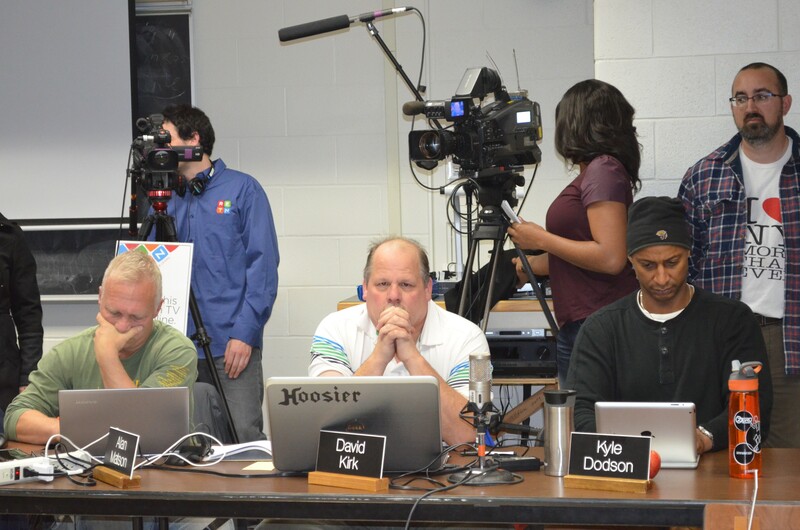 Against the odds, the board emerged after a 1 hour and 40 minute executive session on Tuesday evening to announce that they'd found a seasoned candidate to fill the role — Howard Smith, who recently retired after 24 years as a superintendent. Smith spent the last 12 years at the Tarrytown schools in Westchester County, N.Y., which have faced fiscal struggles of their own. Commissioner Kyle Dodson cited Smith's experience making "tough budget decisions" and his "even-keeled temperament" when explaining the board's selection. Commissioner Stephanie Seguino, who along with Dodson and Commissioner Mark Porter was tasked with finding interim superintendent candidates, said they received 40 nominations, including people who offered up their own names, and interviewed 10 of them. "We were not looking for a caretaker," Seguino added. Stephanie Phillips, the outgoing interim superintendent, has agreed to stay on until November 24, when Smith will take over. At that point, Phillips will return to her former position as curriculum director. Paul Irish, who resigned as the assistant superintendent, and Nikki Fuller, who was serving as interim administrative officer, returned to their former positions yesterday. The board also voted Tuesday to pay Phillips, Irish and Fuller retroactively for their additional work — $400 per week for each person, dating back to July 1. The earlier part of the meeting offered a glimpse into one of the controversies Smith will inherit. Due to budget cuts last spring, families who don't qualify for free or reduced-price lunches are now being asked to pay their students' bus fare to and from school. A number of parents, students and community members urged the board to reconsider what they described as an unacceptable financial burden. In response, several board members suggested they turn their attention to the school administration. "At this point the decision to change is really something the administration could choose to do if they determined they could find other funds to make up the difference in the budget," Miriam Stoll told them. "You're not just speaking to the board here. You're also speaking to the administration."